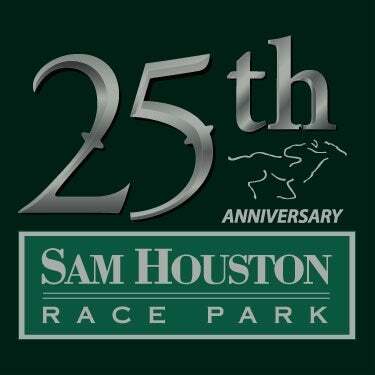 (Houston, TX) - Sam Houston Race Park kicks off the weekend with the return of the very popular Food Truck Friday. 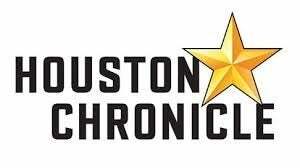 Participating vendors include Churrasco's, Cousin's Maine Lobster, Whatcha Cravin, Custom Confections, Mingo's Latin Kitchen, Casian King, Pho-jita Fusion, Texasiana Famous Food and Tikiz Shaved Ice. Friday night’s post time is 7 pm and features the best drink specials in town with 50 Cent Beer & $1.50 wine from 6-9pm! On Saturday evening, two six-furlong stakes for 3-year-olds will be contested. The Clarence Scharbauer Texas Stallions Stakes Series includes the $65,000 Two Altazano Stakes and the $65,000 Jim's Orbit Stakes, both for accredited Texas-breds. The Texas Thoroughbred Association (TTA) renamed the showcase series to honor the late Clarence Scharbaurer, Jr. who passed away in 2014. Tom Durant’s talented homebred Raising Rumors will make his Texas debut in the Jim’s Orbit, slated for the fifth race on the card. The gelding son of Sing Baby Sing broke his maiden last June at Churchill Downs and has won four of his seven career starts. Trained by Randy Morse, the dark bay has tested the waters in graded stakes company and ships to Houston off a solid $50,000 allowance victory at Oaklawn Park three weeks ago. Richard Eramia has the call aboard the 5-2 morning line favorite, who will break from the rail. Chuck Fisher’s Imma Wild Bling won the $65,000 Texas Stallion Stakes at Retama Park on November 5 before facing tough open company in both the Springboard Mile at Remington Park and the Space City Stakes here on January 29. Bred by Hall's Family Trust, the Too Much Bling colt is trained by Charles Havercamp and will be ridden by Danny Sorenson. An interesting longshot is Contrarytoordinary, a Valid Expectations colt co-owned by Danny Pish and Denis Foster and trained by Pish. He ran Saturday, February 11 and will return just seven days later in the Jim’s Orbit. Pish bred and raised this colt and stated that if he came out of last weekend’s race in good order, he would wheel back. Pish has trained some highly-regarded Texas-breds and reports that multiple-stakes winners Boots On Sunday and Goosey Moose are now enjoying second careers as hunter/ jumpers and popular lesson horses. The field, in post position order, with riders is: Raising Rumors, Richard Eramia; Comanche Hopper, Ernesto Valdez-Jiminez; Checker Czech, DeShawn Parker; Contrarytoordinary, Ted Gondron; Witt Stamp, Sasha Risenhoover; Too Much Gone, Efigenio Garcia Ruiz; Rumpole, David Cabrera; Imma Wild Bling, Danny Sorenson; Shaded, Iram Diego and My Expectations, C.J. McMahon. A very talented group of fillies has been assembled for the $65,000 Two Altazano Stakes. Keene Thoroughbred LLC’s Country Candy is the high-earner in the field and will break from the far outside under jockey David Cabrera. Trained by J. R. Caldwell, the gray Intimidator filly has only had one off the board finish in seven starts. That came in the $125,000 Dixie Belle at Oaklawn Park on January 21. Trainer Bret Calhoun sends in three fillies, which will break in the first three post positions. Gold Shock, owned by Douglas Scharbauer, will make her seventh career start with four previous stakes appearances. Wayne Sanders and Larry Hirsch own Kat’s Infatuation, who brings a two-race win streak into Saturday’s Two Altazano. Calhoun also trains Archer City for Scharbauer; she will make her stakes debut off an impressive allowance score here on January 28. Trainer Steve Asmussen won three previous editions of the Two Altazano with Color Code in 2012, Makeshift in 2013 and last year’s stakes with Thievery, a Valid Expectations filly owned by the Ackerley Brothers Farm. His entrant this year is Pure Grey, a Too Much Bling filly he co-owns with Clark O. Brewster. The Two Altazano will run as the seventh race of the card. Gold Shock with Lindey Wade up, drew the rail, followed by Kat’s Infatuation, C.J. McMahon; Archer City, DeShawn Parker; Too Much to Bear, Richard Eramia; Pure Grey, Iram Diego; Mighty Ferrari, Paul Nolan and Country Candy, David Cabrera. In 2005, the Texas Thoroughbred Association renamed each of the Texas Stallion Stakes races to honor a famous Texas Thoroughbred. 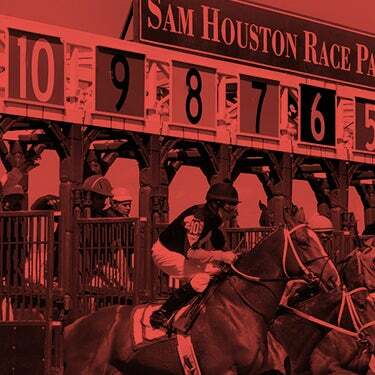 The colts and gelding division at Sam Houston Race Park has been named for Jim’s Orbit, who won the Grade 2 Ohio Derby and started in the 1988 Kentucky Derby. The fillies division is a tribute to Two Altazano, winner of the Grade 1 Coaching Club American Oaks in 1994. The accomplished mare, owned by the late Harold V. Goodman, was inducted into the Texas Horse Racing Hall of Fame in 2003. Nominations closed yesterday for the Saturday, February 25th card, which will include the $100,000 Maxxam Gold Cup, $50,000 Jersey Lilly, $50,000 Bucharest Turf Sprint and $50,000 Texas Heritage Stakes. The Sam Houston racing office confirmed that 40 horses are listed for the Maxxam, the mile and one-eighth handicap for older horses. Last year's winner, Mobile Bay, recently became a millionaire with his February 11 victory in the $150,000 Louisiana Premier Night Championship at Delta Downs. Owned by Tigertail Ranch, Mobile Bay is trained by Victor Arceneaux and nominated for the 2017 Maxxam Gold Cup. The Maxxam Gold Cup has produced exceptional champions since its first running in 1994, including Valhol, Student Council, Alumni Hall, Red Rifle and Albano. 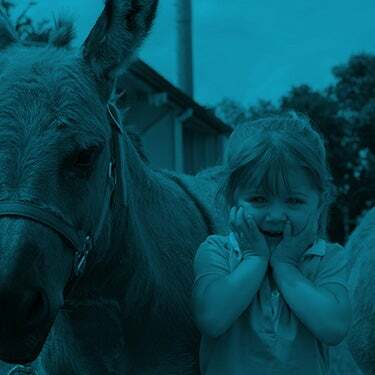 The draw for the Maxxam Gold Cup card will take place on Saturday, February 18. Monday afternoon’s card began with an Arabian stakes and trainer Jerenesto Torrez conditioned each of the four runners in the Grade 2, $30,000 Texas Six Shooter superfecta. The winner was Rosebrook Farm LLC’s RB Nash ridden by Ernesto Valdez-Jimenez. Sent off as the favorite, RB Nash paid $2.40 for the win. Quick Sand AA ridden by Ivan Arrellano was second, followed by Ruby AA and RB Fired Up. It may be hard to replicate a recent run shared by trainer Steve Asmussen and jockey Iram Diego. The meet leaders headed into February 10th with nine wins for the week. They added seven more trips to the winner’s circle last weekend, including a sweep of Saturday night’s two stakes. Asmussen owns and trains Magna Breeze, a 7-year-old son of Magna Graduate, who won the $50,000 Houston Turf in gate-to wire effort under Diego. Then the duo teamed up with Union Jackson in the $50,000 Sam Houston Sprint Cup Stakes. The 5-year-old son of Curlin owned by Stonestreet Stables LLC blazed to victory in the six furlong feature in 1.09.21, winning by a margin of 8 ¼ lengths. Diego, who won the riding title last year at Sam Houston Race Park, is very appreciative of the opportunity to ride for the Hall of Fame conditioner. Perhaps trainer Mindy Willis had the best analysis. She was the leading trainer for the first week of the meet, and then saw her top ranking vanish quickly. “I started out great, but knew I was in trouble when the Asmussen vans started rolling in,” quipped Willis.